We removed the original HSQE bundle and replaced it with three new bundles: Onboard, Maintenance, and Compliance. We renamed the Vessel app to Vessel Logs and moved it from the HSQE bundle into the new Onboard bundle. We renamed the Action Items app to Dashboard and moved it from the HSQE bundle into the new Maintenance bundle. We renamed the Maintenance app to Planned Maintenance and moved it from the HSQE bundle into the new Maintenance bundle. We renamed the Crew Tracking app to Crew Certifications and moved it from the HSQE bundle into the new Compliance bundle. You can now set or reset a password without any restrictions. We still use visual cues to show you the strength of your password, but we don't prevent you from using any password you choose. You can now delete attachments. The user interface is now simpler and cleaner, including larger fonts. At resolutions below 1024 pixels, a new Menu button allows you to display or hide the app menu. We added a new bundle called Onboard. This bundle contains the Vessel Logs (formerly Vessel) app. We renamed the Beyond 7 Days group to Future. We added two new groups called Awaiting Approval and Assigned to Shore. Items are now displayed in groups according to the 24-hour clock. A new icon beside the name of each group now shows the number of items in that group. When you complete an item from the Today group, the item now moves to the next appropriate group instead of remaining in the Today group. We redesigned the task cards so you can quickly see which tasks need your immediate attention. For example, we now use color to indicate the different severity levels. Once a task has been assigned to someone by a user in the Dashboard app, the task card now displays the name of the assigned person. You can now add user-defined tags to checklists. You can use the new Tags filter on the History tab to find all finished checklists that contain selected tags. You can now approve or decline inspection or survey checklists that include an approval category. Once you finish the checklist, it will move to the assigned space (i.e., Engine Log, Mate's Desk, or Wheelhouse) and wait for someone in that space to either approve it or decline it. The approved or declined status of each item is clearly indicated by new icons on the cards in the Task Log. When recording engine room running hours or readings, we now prevent you from selecting future dates. We made an exception for tomorrow's date, to accommodate recordings made close to midnight. We renamed the When section to When was this resolved? and replaced the Yesterday and Today options with a date field and a time field. We added a How was this resolved? field. The System field is now optional. We renamed the Plan section to Assign to and replaced the On shore, Need parts, and Need time options with Shore and Vessel options. You can use the three options in the Assign to section to control where the unfinished task sits in the To Do list: select Shore to put it in a new group called Assigned to Shore, select Vessel to put it in the Unscheduled group until someone on shore schedules it, or select Dry Dock to put it in the Dry Dock group. We added an Optional Comment field. You can use the three options in the Assign to section to move the unfinished task to a different group in the To Do list: select Shore to move it to the Assigned to Shore group, select Vesselto move it to the Unscheduled group until someone on shore schedules it, or select Dry Dockto move it to the Dry Dock group. In the View task window, if you click Finish Now you now see the View Task window where you must complete the date and time you resolved the task. You now also have the option to add a comment about how you resolved the task. In the Task Log, if a readings checklist contains any readings that are outside the specified threshold range, then it is now flagged with a red icon and all the out-of-tolerance readings are listed. When entering the threshold values for inspections, you can now use decimal numbers. When recording engine room readings, you can now use decimal numbers. You must now indicate who finished the checklist by selecting a name from a new Finished By list. The systems and components in the checklist are now displayed in the same order they appear in the Vessels app. If they are rearranged in the Vessels app, the checklist will reflect the change. You can now print a checklist. A new Shown in column in the list view and a new Shown in field in the detailed view displays which space (i.e., Engine Log, Mate's Desk, or Wheelhouse) the task or checklist was shown in. In the list view, a new Type filter allows you to filter the list of displayed items by Maintenance, Inspection, Component, Running Hours, Readings, Action Item, and/or Deficiency. In the detailed view for completed maintenance checklists, a new Component column allows you to see which components were replaced during a maintenance routine. In the detailed view for completed action items, a new Attachments section allows you to view all the attachments associated with a particular action item. In the detailed view for completed readings checklists, you now have the option to export the readings to Microsoft Excel. We added a new bundle called Maintenance. This bundle contains the Inspections and Planned Maintenance (formerly Maintenance) apps, as well as the Dashboard (formerly Action Items) app. In this release, we unveiled a new version of our Action Items app that gives you improved visibility into the activities on your vessels and enables you to be more proactive with your maintenance planning. We renamed the Action Items app to Dashboard and positioned it as the first app in our new Maintenance bundle. All your vessels are now represented in a clean, elegant card view. You can add vessel images to these cards from the Vessel app in the Setup bundle. Each vessel card summarizes the open action items for each vessel, including the number of unplanned, planned, or dry dock tasks. A division filter allows you to display only those vessels that you are responsible for. A vessel filter allows you to quickly find a specific vessel. Visual cues on each vessel card use color to quickly draw your attention to the vessels of highest concern: the Overdue icon turns red and displays a vessel's number of overdue tasks and the Out of spec icon turns orange and displays the number of items that have had "Out of Spec" (outside their specified threshold range) readings within the last two weeks. You can click either icon for more details. We added search-style filters near the top of the tab for divisions, vessels, people, tags, and items. If you move to another tab then come back, the list will still display the results of your most recent search. We added checkbox-style filters for Essential systems, Priority, and Assign to (Vessel, Shore, or Dry Dock.) A small icon beside each check box also shows the total number of unfinished items in that category. We added tab-style filters for All, Unplanned, Planned, and Overdue so you can quickly display all the unfinished items for all your vessels, or limit the displayed list to only the unfinished items that still need to be planned, have been planned, or are now overdue. We also display the total number of unfinished items in each category. You can now plan the details for each task, such as who will perform it and when it is due, in either the Create Task or the Update Task window. These windows replaced the Who, What, Where, and When sub tabs that were on the Plan tab. In the Create Task or Update Task windows, clear visual cues let you know when you have included enough details in the Plan section to change the status of an item from unplanned to planned. In the Create Task or Update Task windows, if you assign a task to someone with a valid email address, they will receive an email notification that they have been assigned a task. In addition to all the action items and deficiencies completed by your vessels, the History tab now also lists all the other activities they've completed including inspections and maintenance routines, as well as readings and running hours checklists. It also indicates when components on the vessels were installed or replaced. A new Type filter in the list view allows you to filter the list of displayed items by the type of item: Maintenance, Inspection, Component, Running Hours, Readings, Action Item, and/or Deficiency. A new Shown in column in the list view and a new Shown in field in the detailed view displays which in which space (i.e., Engine Log, Mate's Desk, or Wheelhouse) the task or checklist was shown in the Vessel Logs app. To help with planning, the Due column now displays the date when each inspection is due. When entering the minimum and maximum threshold values for inspections, you can now use decimal numbers. You can now add user-defined tags to checklists. You can use the filters at the top of both the Overview and History tabs to find all checklists that contain selected tags. We replaced the Item filter with a Template filter. We renamed the Crew Tracking app to Crew Certifications, and moved it from the HSQE bundle into the new Compliance bundle. Throughout the app, we changed all labels that previously said Qualifications to Certifications. We added an optional Reference Number field to the Update Certification window. If you add a reference number to a certification, it also displays in the new Reference Number field in the detailed view on the History tab. When you select the start date and frequency for a new inspection template, a new Following Occurrence field displays the next date the inspection will be due, assuming that the inspection was completed on time. We added a new approval category for inspections and surveys. When you add an approval category to a template, you must select the Vessel Logs space (i.e., Engine Log, Mate's Desk, or Wheelhouse) that must complete the approval section on the vessel. In the edit view, a new Due field allows you to manually enter how many hours remain until the first occurrence of a routine is due. 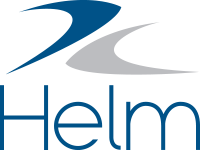 This is particularly useful when setting up a new maintenance routine in Helm CONNECT for a piece of equipment that already has some recorded running hours. A new column in the list view indicates, with an icon, whether or not a template has an attachment. A new Attachment overlay allows you to attach files to inspections and maintenance templates. These files are available to anyone using a checklist based on these templates. We renamed the Crew Tracking tab to Crew Certifications. We also renamed the Qualifications column to Certifications. We added a new tab called Vessel Certifications. This tab is for future functionality in Helm CONNECT. We simplified the reading types that have more than one possible unit. Now, you simply select the reading type from the list, drag it onto the template, then select the unit you want to use. We now include metric units for the available reading types. We now allow decimal numbers when setting the minimum and maximum values for an inspection threshold value. We added Hertz (Hz) as an available unit for the Frequency reading type. On the Inspections, Maintenance, and Crew Certifications tabs, when creating or editing a template, you now have the option to select one or more people to be a responsible party for that template. You now have the ability to add an image to represent each vessel. These images are displayed on the Dashboard tab in the new Dashboard app. When building or editing a vessel, you now have the option to select one or more people to be a responsible party for that vessel. Responsible parties will receive an email notification when any tasks for that vessel are assigned to the shore. In the Component Information window, when recording or updating information about your vessels' systems and components, you can now record the time of installation. In the list view, a new division filter allows you to filter the list of vessels by their division. The order you arrange the systems and components for each vessel is now reflected in the running hours checklist for each vessel in the Vessel app. In the edit and detailed views, we added a new field called Vessel Type. This field is for future functionality in Helm CONNECT. We resolved an issue where, once opened, a calendar wouldn't close if you scrolled or resized your window. We resolved an issue where the date format throughout the app wasn't consistent. We resolved an issue where surveys and inspections with a "Per Trip" frequency didn't display in the To Do list. We resolved an issue where a replaced component that was logged in one space (i.e., Engine Log, Mate's Desk, or Wheelhouse) didn't appear in the Task Logs for the other two spaces. We resolved an issue in the To Do list where, after a component was replaced, a maintenance routine wouldn't display the correct number of hours until it was due unless you refreshed the page. We resolved an issue where the print preview for maintenance routines didn't correctly show all the items. We resolved an issue where the number of days until a checklist was due was not displayed correctly in the detailed view for that checklist, although it was displayed correctly on the card view in the To Do list.